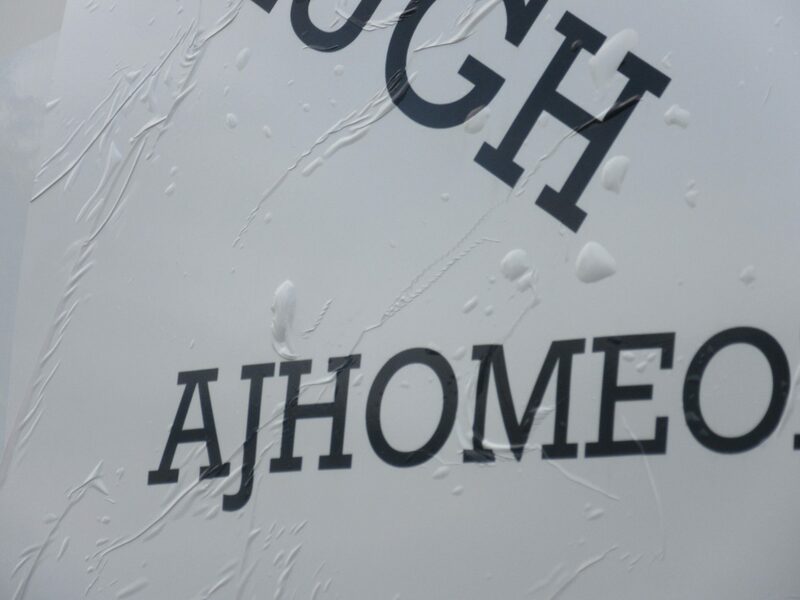 May 22 (by Jimmy) – A couple of weeks ago, I finally got the mural on the front of our RV. Here’s what it looks like… I love it… Now this was the first time Angela and I have attempted to put a mural on the RV, so it didn’t come without a number of lessons. Lesson one, a flat square does not fit smoothly on a convex surface. 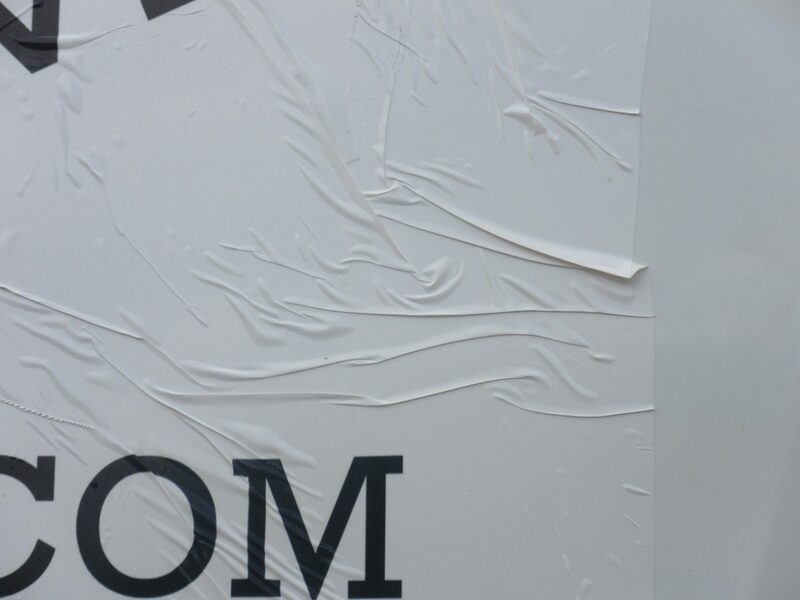 Lesson two, wind can be a factor. Lesson three, there will be bubbles and wrinkles, get used to it. Lesson four, there was a reason the previous mural covered the same area but was in three sections. With all of those lessons here’s what the mural looks like up close. Yes, up close it looks pretty bad, but I can’t help but use this to explain our motto “Live, Love, Laugh, Travel”. Live – Life can look pretty good from afar; you only see the wrinkles and bubbles when you get close. When you can accept others regardless of their bubbles and wrinkles, then you can have true friends. My wife has seen enough of my wrinkles for me to know life with her is great. 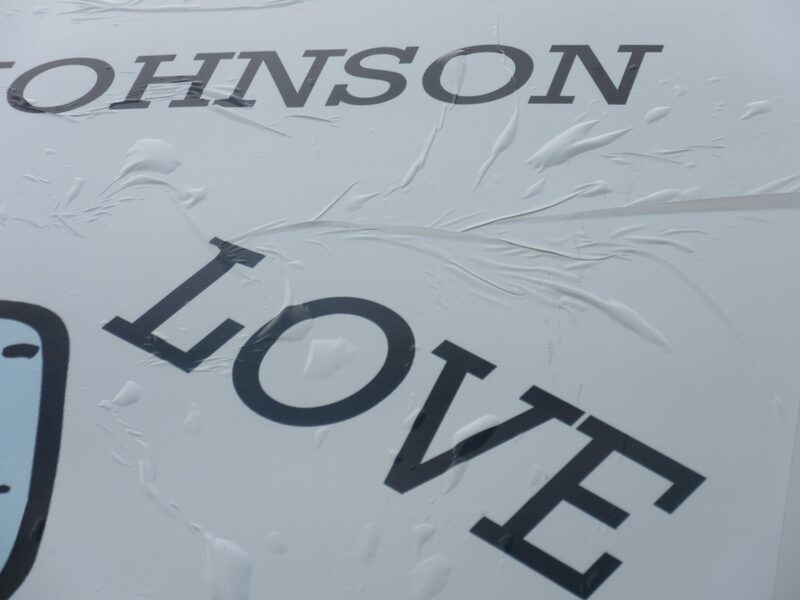 Love – Coming up with the idea to personalize our RV, developing this mural, finding the right thing to put on it, and finding the vendor that makes them (www.postburner.com), were all a labor of love. Laugh – Come on, nothing is perfect. If you can’t mesh the planning with the end result and not laugh, then you have no sense of humor. 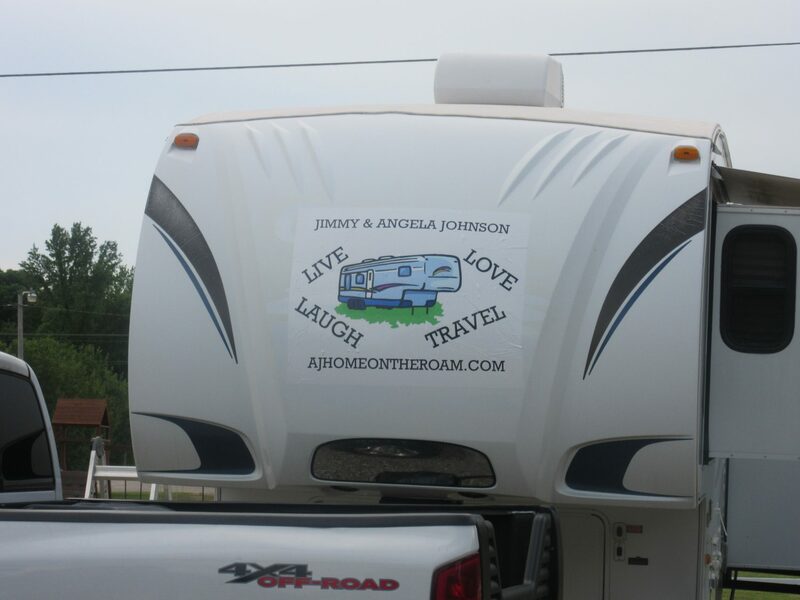 Travel – This is the mural that is on our RV; it will be the mural you will see on our RV for the next few years. 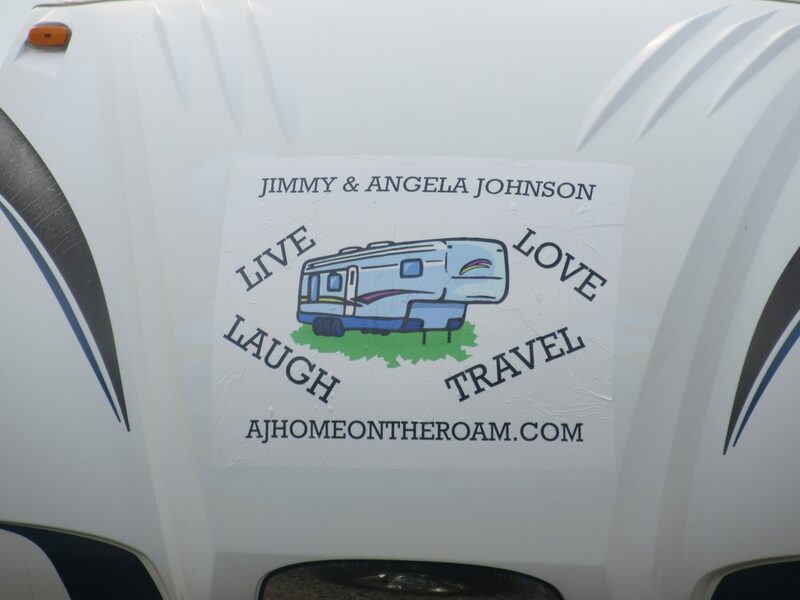 If it introduces us to others, if it gets others to read our blog, if it brings a smile to someone’s face (either because they would want to customize their RV, or they think it’s funny that someone would leave a wrinkled mural on the RV), then it will have served its purpose.